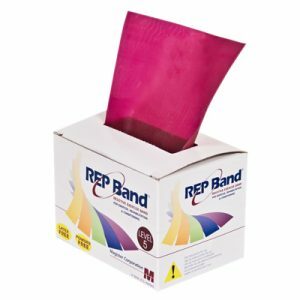 REP Latex Free Resistance Bands are are great for those allergic to latex. 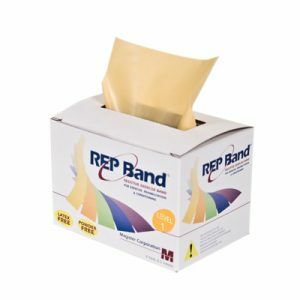 A small percentage of people have an allergic reaction to latex material and/or the addition of powdered latex to other bands. 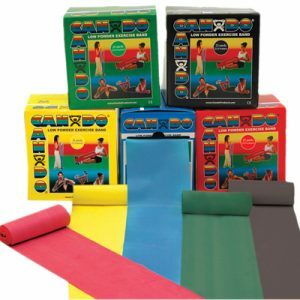 REP latex free bands allow users the benefits of resistance bands without the potential for an allergic reaction .These 4” wide latex free resistive bands are ideal for progressive exercise programs, allowing users to advance their programs with confidence and ease. The higher the number, the greater the resistance. 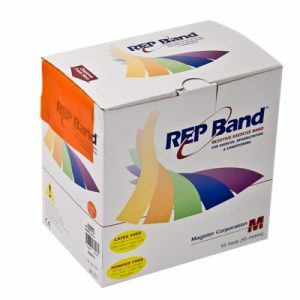 The highest quality, thickness-consistent, latex free band available today. 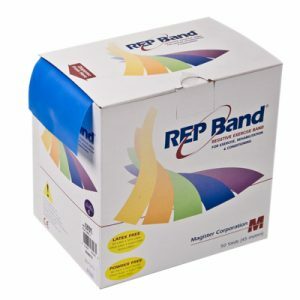 The Bands’ lower recoil properties provide a smooth stretch and will not jerk back when patients stretch the bands. Packaged in convenient dispenser boxes. 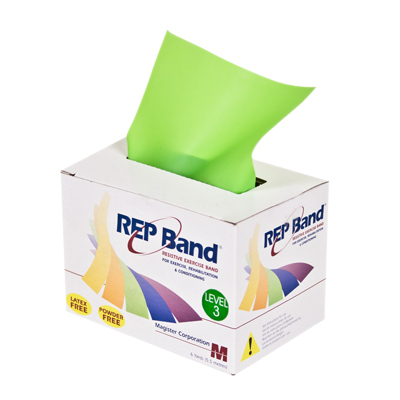 REP Band® bands are 4″ in width and available in 6 yard and 50 yard dispenser boxes. 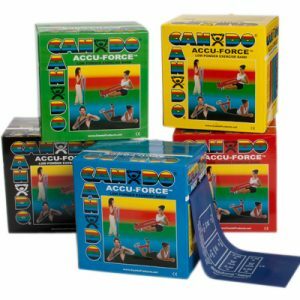 Available in 5 color-coded resistance levels from peach (easiest), orange, green blue, plum (hardest). They are Child-safe and contain no messy powder. Bright new neon colors! Powderless! Odorless! 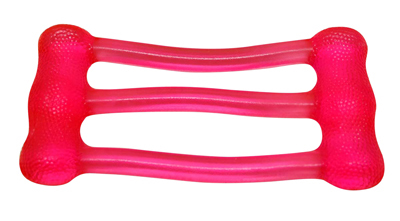 Elastic bands and tubing can last for a very long time with proper care and use. Packages in a convenient dispenser box.